Like so many who came to New Mexico in the first decades of the twentieth century seeking a cure for tuberculosis, Bronson M. Cutting recovered to play a major role in the history of his adopted slate. At the time of his premature death, he had owned and aggressively run the Santa Fe New Mexican for twenty-three years and had gained a national reputation as a United Stales senator from New Mexico. A Progressive, he had amassed a huge and devoted political following, especially among the majority Hispanic population, which enabled him to control the politics at various times of either of the state's major parties. The younger son of an extremely wealthy, old New York family, Cutting found soon after his arrival in Santa Fe in 1910 that he would have to build his own home if he were to have the sort of living accommodations to which he was accustomed. Specifically, he had difficulty finding a house that was sufficiently large and contained more than one bathroom. After a brief flirtation with the idea of an adobe house in the incipient Spanish Pueblo Revival style, Cutting hired Colorado Springs architect Thomas MacLaren, formerly of London, to build a California Mission Revival mansion of conventional materials. In 1910, with the Pueblo Revival movement barely under way, the Mission Revival style was still considered appropriate for Santa Fe by virtue of its generalized evocation of a Spanish Colonial past. The Bronson M. Cutting House is one of a few remaining examples from this brief period in the architectural evolution of Santa Fe. Other examples are the Salmon-Greer House and the 1914 addition to the Rosario Chapel. Exceptionally elegant and well balanced in design, the house embodies the characteristic features of the Mission Revival style in the liberal use of arches around window and door openings, the orientation around a central courtyard, and the curvilinear gable that, in this case, rises in the center of the main facade and corresponds to the rise in the roof line over the vaulted ceiling of the living room. Called Los Siete Burros, The Seven Burros, the house had three bedrooms and four bathrooms (at a time when more than one bathroom was luxurious in Santa Fe and indoor plumbing not to be taken for granted ), a large kitchen, butler's pantry, dining room, living room, library, two open sleeping porches (indispensable for the cure of tuberculosis), and a servants' wing. 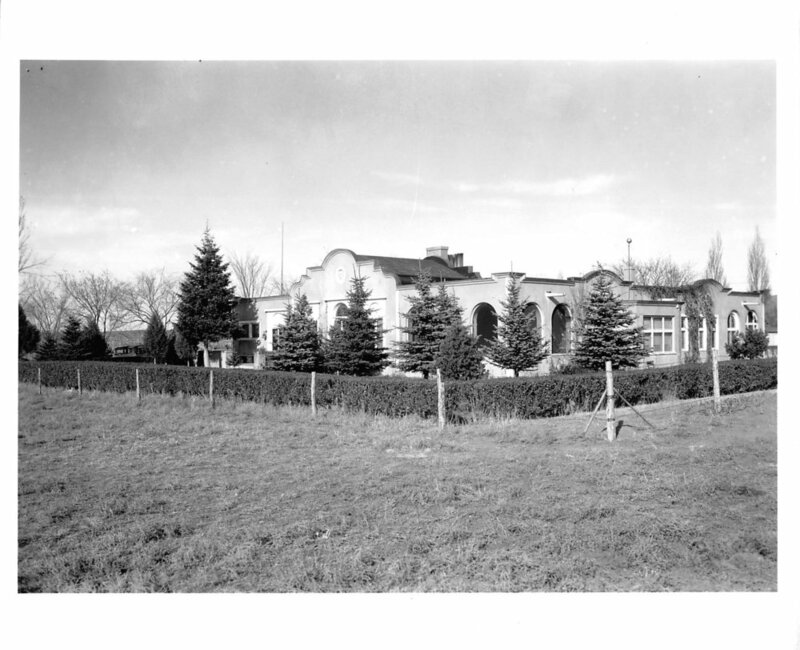 After Cutting's death at the age of forty-seven in a 1935 airplane crash, the house was purchased from the estate by Jesus Baca, a long-time associate and friend. In the 1950s it was bought by the Archdiocese of Santa Fe and converted into an orphanage for girls, called Las Huerfanas, The Orphan Girls. In the late 1960s it became the home of a physician who used the servants' quarters for medical offices. Today it remains a residence with a law office in the servants' wing. The setting of the house has been altered in recent years by the sale and development of much of the acreage that once surrounded it The garage close to the Old Santa Fe Trail was built in the same style as the house, but it has been remodeled beyond recognition and is now a dwelling. Nevertheless, despite changes in ownership and use, the house itself has undergone minor or tangential alterations, and it remains substantially as it was when Cutting lived there.